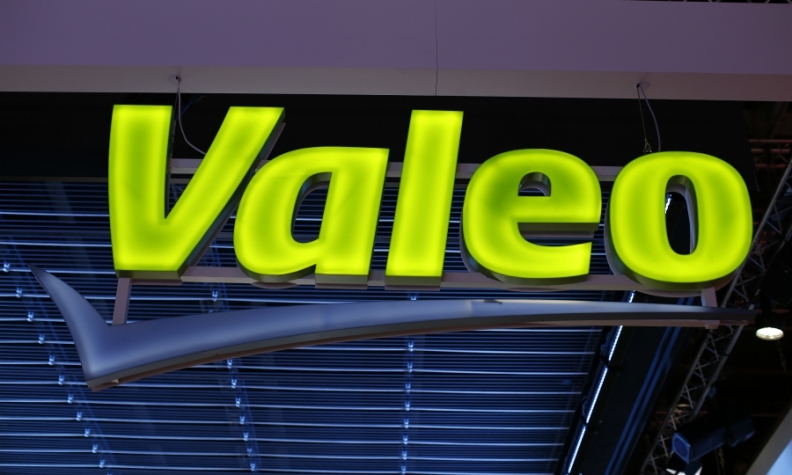 PARIS -- French supplier Valeo said revenue growth slowed to 3 percent in the first quarter, held back by a strong euro and a contraction in Chinese and U.S. car production. After jumping 12 percent last year, revenue rose to 4.917 billion euros ($6 billion) from 4.76 billion, the company said in a statement on Wednesday. Currency effects cut sales by 5.4 percent as dollar-zone revenues lost value in euro terms. "Organic revenue growth will accelerate sharply over the rest of the year," said CEO Jacques Aschenbroich, citing the company's order intake. Under the new standard, revenue came to 4.88 billion euros, almost unchanged year-on-year on a like-for-like basis. Last week, Valeo's French rival Faurecia also reported higher first quarter sales and struck a confident tone for its outlook for the rest of 2018.